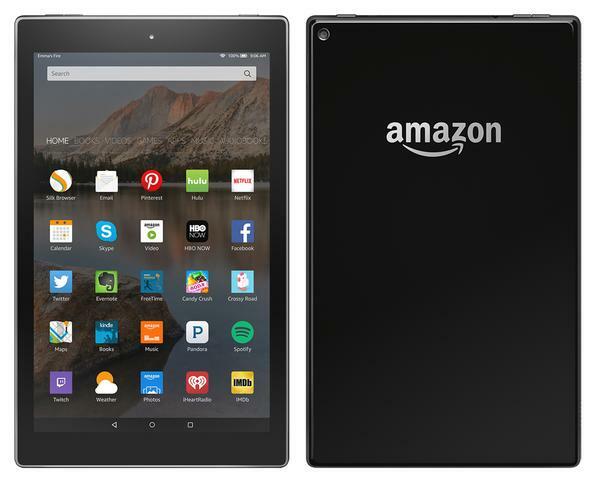 Amazon's PR campaign for its next tablets entered the nmext stage today with the planned release of a "leaked" image and hardware specs. In related news, Amazon has also leaked the specs for this tablet, and the 8" model we were expecting. According to the benchmarks over on GFXBench, both the 10" and the 8" models will have screen resolutions of 1280 x 800. They'll run Amazon's custom version of Android on a quad-core MediaTek MT8135 CPU with PowerVR Rogue G6200 graphics. They'll have 1GB RAM, 16GB internal storage, a pair of cameras (5MP and 1MP), Bluetooth, and Wifi. In terms of sensors, the tablets will have an accelerometer, pedometer, and a gyroscope. There could be more but that's all that is listed in the benchmark. Those are considerably better specs than the ones Amazon leaked last week for the six inch tablet. That tablet had a much weaker CPU and GPU, as well as a rumored $50 price tag. Without knowing the price, it's hard to say whether the larger tablets are a good value. But I can add that they have the same screen resolution, RAM, CPU, GPU, and storage as on last year's Fire HD 7. The only real difference is the size of the screens, and the cameras (last year's tablet had VGA and 2MP cameras). So if you're looking to upgrade, you should ask whether the larger tablets are really worth it. I just got a Fire HD 7, and I am relieved to know that I didn't make the wrong decision. I am not tempted by either the budget-priced 6" model or the larger screens on the 8" and 10" models. I’ll keep my high resolution screen on the HDX model. Now if the make an 8″ PW or Voyager i’m there. At those resolutions they are going low. So they’re not really replacing the HDX line but supplementing it. The 8incher had better be around $100. That looks like a generic Android launcher. You sure its not photoshopped? Or could Amazon have a new launcher they don’t want to show yet? I think it’s a new launcher. Note the Silk and AVideo apps, and the signature Amazon menu ribbon between the search bar and the apps. New Icons for Silk and email? A Kindle icon duplicating the “Books” menu item? Color me skeptical that it’ll ship with that phone GUI.